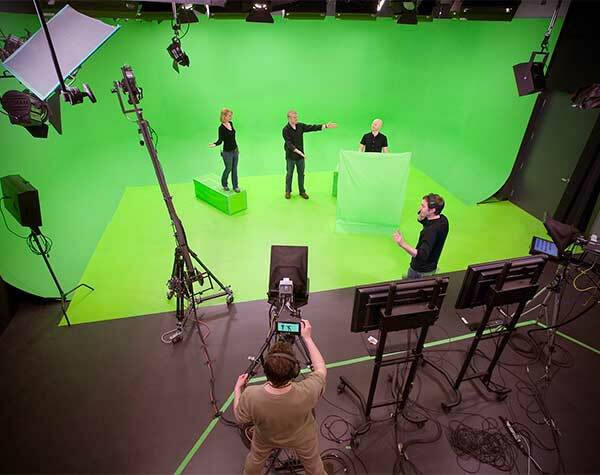 DISCOVERY WORLD’S PRODUCTION STUDIO IS VERSATILE, GREEN SCREEN READY, ACOUSTICALLY TREATED, AND HAS A FULL LIGHTING GRID. THIS IS A PERFECT SOUND STAGE FOR COMPANIES OR INDEPENDENT PRODUCTIONS. 1,036 SQ. FT. VIDEO PRODUCTION SPACE. Designed as a sound stage – Acoustical tiles cover the ceiling and most of the walls, double wall construction, floating floor, and multi-layer drywall and acoustical insulation to isolate airborne sound and structural vibration, creating superior low-frequency isolation. Located on the 2nd floor of the Technology Building inside Discovery World.